On a recent weekend trip to Dallas, I finally did something I had wanted to do for a while. I paid a visit to the local Alamo Drafthouse. 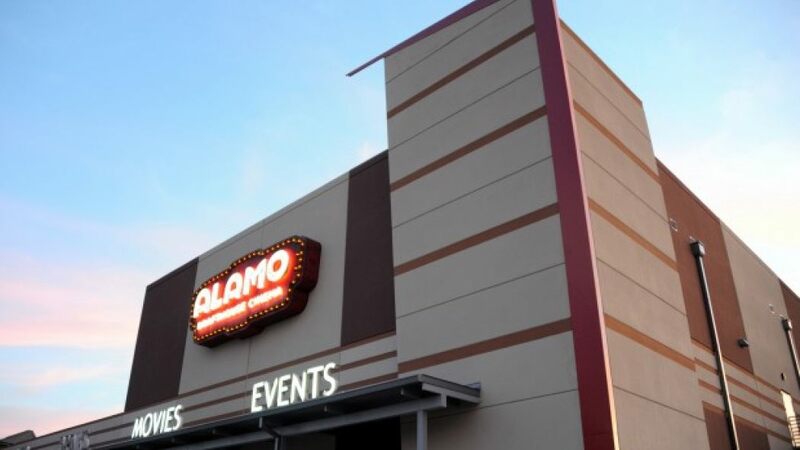 The original Alamo Drafthouse was founded in 1997 by Tim and Karrie League as a second-run movie theater in an Austin, Texas, warehouse where patrons could enjoy food and a beer while they took in a show. Over the years, the business expanded and became a franchise. It now shows first-run movies at locations throughout Texas, as well as in a handful of major cities scattered across the United States. Unfortunately there is still not a theater in Oklahoma. The nearest location to Oklahoma City is in Richardson, Texas, just north of Dallas. Depending on where you are in Oklahoma, the Kansas City or Lubbock locations may be closer. The drive is long but worth it if you are planning a weekend trip. At first glance, readers may not think what the Alamo offers is anything special. After all, you can get a drink and some food at the Moore Warren Theater, but trust me–the experience at the Alamo is better and cheaper. The theaters are small and intimate with shows running daily from around noon to midnight every day, and the bar feels like it could be your local pub. 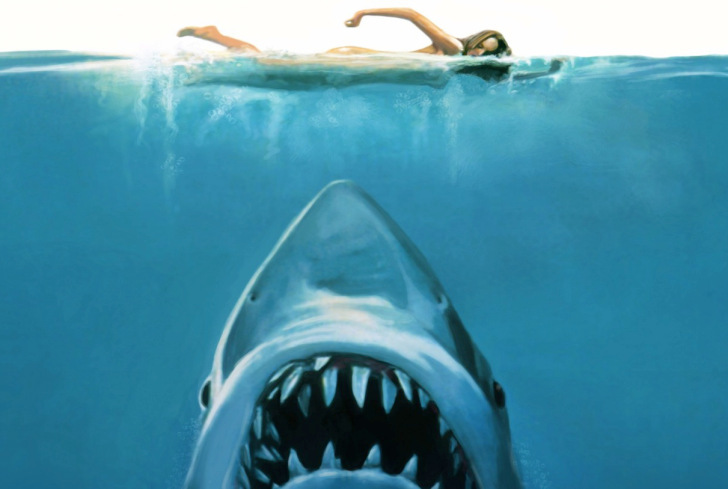 At $9 – $11 for most tickets, it’s a bargain compared to the $18 you are likely to pay to see a movie in the balcony seating at the Warren, where food and drinks are served. The food, while not fancy, is much better quality than the Warren’s, and prices are similar with entrees ranging $6 – $12. 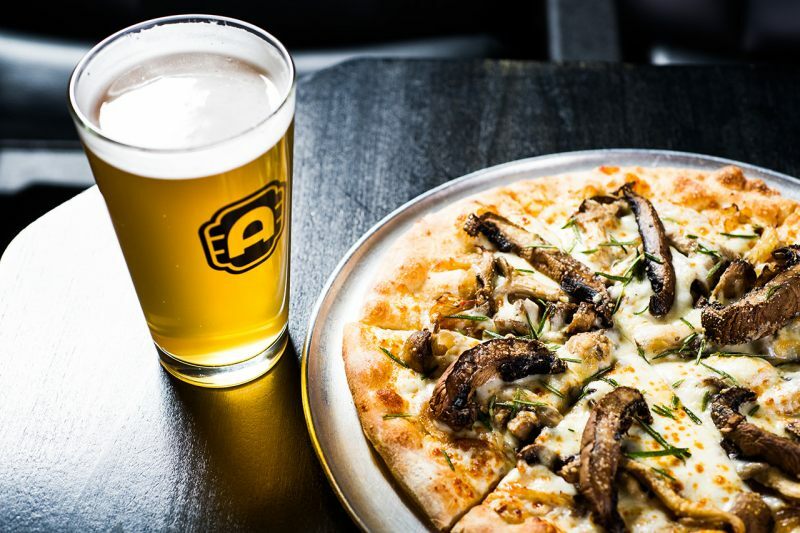 Alamo offers a nice selection of pizzas, burgers and sandwiches, salads, snacks and even breakfast items, in a casual atmosphere. A couple can get tickets food and a drink for about $60 (plus tip) compared to the $80 or more they might spend at the Warren. 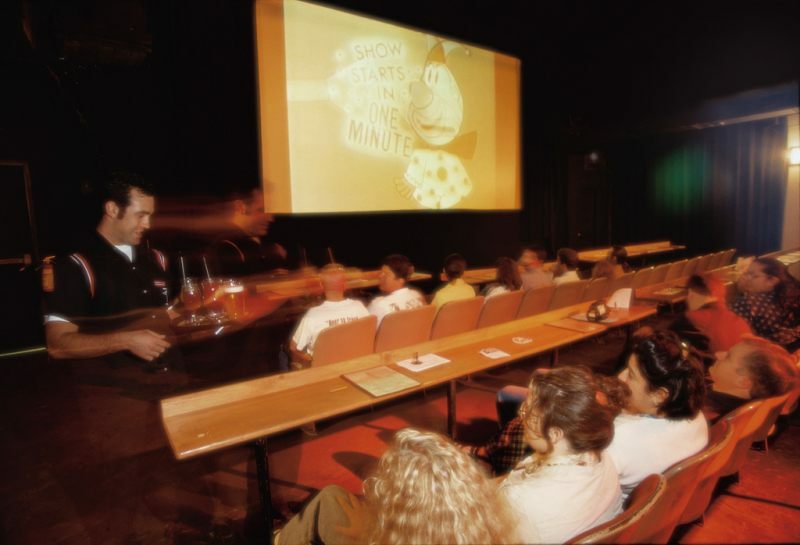 Theater goers order by writing their selections on a card and putting it in a slot at the table’s edge for wait staff to pick up. This prevents the process of ordering from interrupting others’ movie enjoyment. Even better, when we visited, service was friendly and prompt. The Alamo’s selection of drinks is excellent, including wine beer and cocktails, and many of the beers were high quality microbrews, which would be hard to find outside the regions where they are produced. I had a beer, the Pecan Porter from the 512 Brewing company, an Austin-based microbrew. It was delicious and smoky, a perfect compliment to the pizza I ordered as my meal. Another thing that really sets the Alamo apart from other theaters is the atmosphere. The Richardson location has a full bar and restaurant attached to it called the Vetted Well, which hosts fun events such as trivia and karaoke. It even has several themed karaoke rooms. It is a perfect atmosphere that works as a hangout spot or for events or parties before or after you see the movie. The movies you will find at Alamo are also something special. You will find regular first run movies, but also events such as sing-along/quote-along showings of classic films and sing-along dance parties dedicated to various pop-stars like Beyonce, Michael Jackson, Madonna, Lady Gaga, and others. Alamo also offers movies you probably won’t find anywhere else. We watched “Raiders!,” a documentary owned exclusively by Alamo Drafthouse Cinema about a group childhood friends who spent their youth recreating “Raiders of the Lost Ark” shot-by-shot. While it was definitely campy, it was also a lot of fun. Overall, the Alamo Drafthouse was a great experience, and I will definitely be back the next time I’m in the Dallas area.